Adding the rights to broadcast cricket in England and Australia across the subcontinent gave Sony Pictures Networks (SPN) a dominant position in the sport but winning the rights to India would give it a monopoly, a senior company executive has told Reuters. India's huge market is a major draw for sponsors and advertisers, who often plan product launches around major cricket events and book advertising slots in advance, which in turn leads to a race between broadcasters to secure content. Star India paid $757.6 million for the rights to broadcast India's home matches for the period July 2012 to March 2018. Those rights will be up for grabs on March 27 and could see another round of frenzied bidding from the two major players in the Indian market. 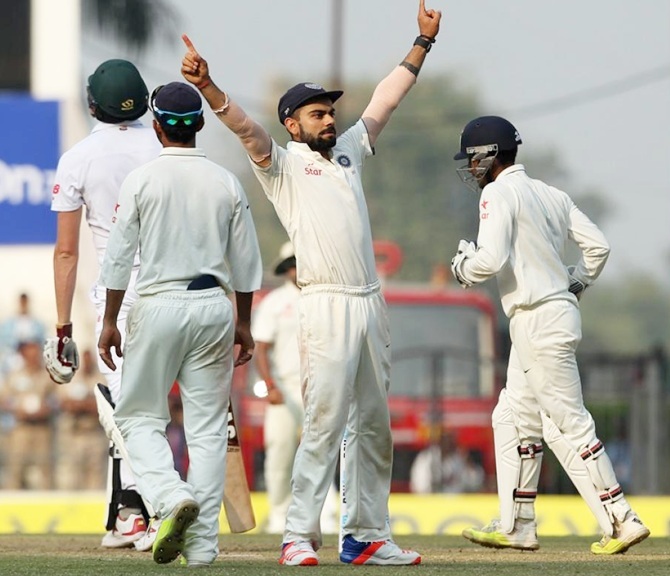 SPN, owned by Sony Corp, lost out to Star India for the Indian Premier League rights last year but have since won the license to broadcast Australian and English cricket in the subcontinent, taking their tally to seven Test playing nations. "The whole idea was to strengthen our overall leadership position," Rajesh Kaul, the president of SPN's Sports and Distribution Business, told Reuters in an interview. "ECB was a very important and integral part of the strategy. While Australian cricket happens during the winter here, cricket in England is during the summer. "There is a very encouraging trend of other sports also getting traction in this part of the world but cricket is still the largest. And to have that dominant leadership position in cricket was very, very critical for us." Last year Star India bid a staggering 163.48 billion Indian rupees ($2.52 billion) to bag the worldwide television and digital rights of the IPL for five years. SPN already had five boards under their umbrella after they paid $385 million in 2016 to acquire TEN Sports, which owns the broadcast rights of cricket boards in South Africa, Pakistan, Sri Lanka, West Indies and Zimbabwe. By wrapping up deals for the Australia and England boards, the network, which also holds rights for this year's soccer World Cup in Russia, will have over 1,000 days of live international cricket over the next five years. While the health and drawing power of Test cricket has come under scrutiny time and again, Kaul said matches between the top sides in the world was always a big draw. He cited the example of the three-Test series between South Africa and India in January, which drew double the TV ratings of India's home series against Sri Lanka last year. "We are now a one-stop destination when it comes to all the bilateral international cricket series," Kaul said. He added that while the India rights were not a "must-have", acquiring them would take their position to a "completely different level". "As far as our cricket strategy is concerned by and large we are very much there," he said. "We are already the leaders when it comes to cricket and if we get the BCCI it will just give us the monopoly."